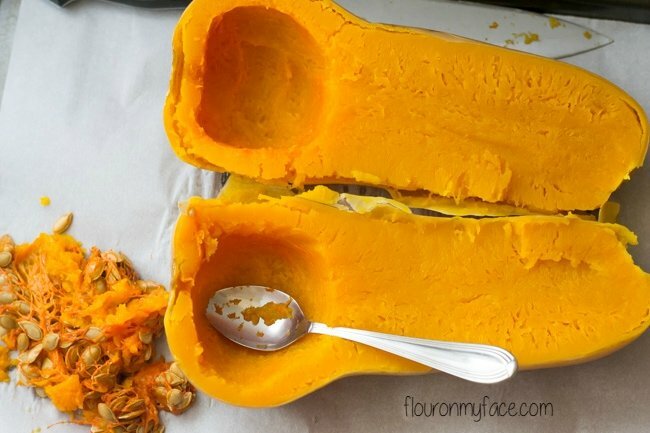 Have you ever tried cutting into a butternut squash so you could cook it? Those things are tough. You’ve got to use a huge sharp knife. Did you know that cooking a butternut squash in the crock pot is a brilliant idea? 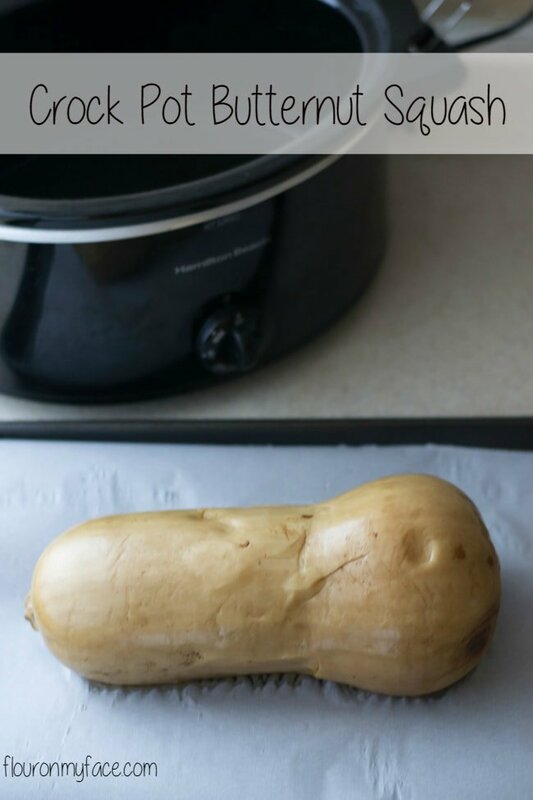 Crock Pot Butternut Squash is so easy to make and you never have to worry about that sharp knife slipping and sending you to the emergency room. I’ll never struggle cutting open a squash again. It’s not just a butternut squash that has a tough skin. Any squash that requires a big sharp knife and a muscular forearm to cut open can be cooked in the crock pot. I love baking a fresh butternut squash with a little butter, brown sugar and cinnamon. What I hate is trying to struggle to cut the butternut squash in half so I can bake it in the oven. The shape of a butternut squash makes it difficult to hold still while trying to cut into it. The tough skin requires a very sharp knife to cut through as it’s trying to get away from me. I am scared to death I am going to lose a finger or two doing it. If you’ve ever cut through one of these suckers you know exactly what I am talking about. Planning on making a pumpkin pie this year with a fresh pumpkin pie pumpkin? Throw it in the crock pot whole and let the crock pot cook it. crock pot big enough to fit your butternut squash in whole. Scrub the outside of the butternut squash well. Place water and squash into the crock pot. Cook on high 3-4 hours or until the squash is fork tender. Carefully remove the hot squash to a cookie sheet and allow to cool. Cut the squash down the center and remove the seeds. With a spoon scoop the squash from the skin. You can serve the warm squash as is with butter, brown sugar and a sprinkle of cinnamon or use the squash to make another recipe. Crock Pot Butternut Squash is so easy to make. Cooking a thick skinned squash in the slow cooker takes all the hard work out of cutting the squash. Once cooked in the crock pot a knife slide through the thick skin of a butternut squash like butter. 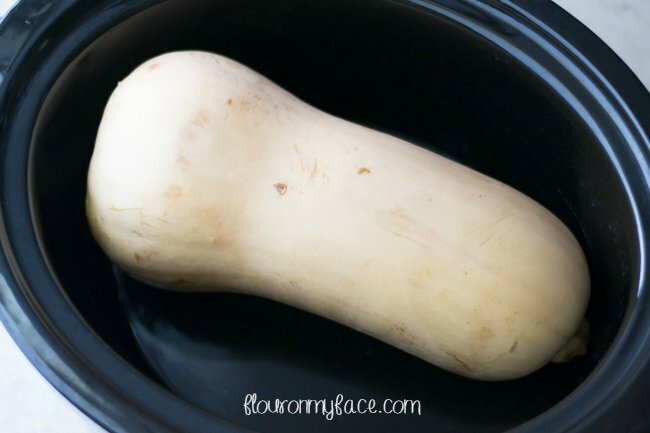 Have you ever cooked a butternut squash in the crock pot? Did you love it or hate it? Looking for more crock pot recipes like this Crock Pot Butternut Squash recipe? 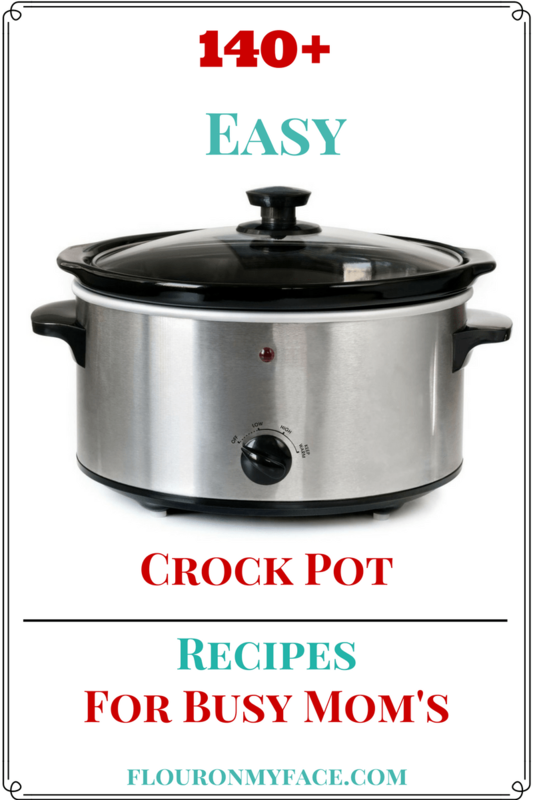 Head over to my crock pot recipe page where you will find 140+ more Crock Pot Recipes! This is a wonderful idea! And it would be so much easier to cut! I have sharp knives and I still struggle with it. I’m doing this right away. THANK YOU for sharing! It is so much easier! Thanks for stopping by! This is AWESOME! I add roasted butternut squash to tomato-based sauces when I cook for my Dad, and it’s still too darned hot here for me to want to turn on my oven. I bet your sauce tastes marvelous! Could you cook this on low? I was thinking I could cook the squash on low and leave it on warm when I’m at work. Let me know if you think it could work that way! I’d like to make your Butternut Squash Mac and Cheese!! YUMMO! Yes, you could cook it on low but if you are going to be away for a full 8 hours I would just make sure you use a large butternut squash. A small one may over cook for that long. Thanks Denise it makes it so much easier!